Unbelievable Opportunity to own FIVE LOTS WITH HOME in Grayhawk Community! Grayhawk is a 1,250 acre private, gated community with gorgeous views, two stream fed, 100 acres lakes, miles of trails, boating & fishing, and over-sized fabulous pool. 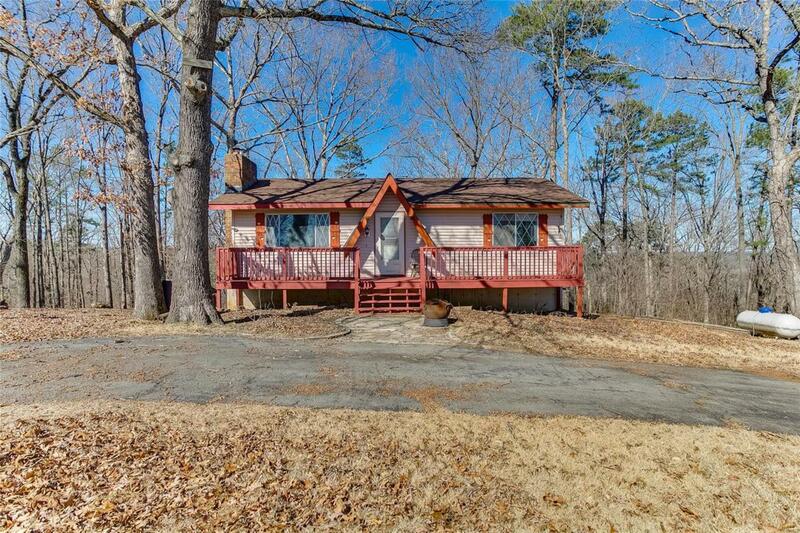 This adorable ranch home has an open floor plan including a vaulted great room with wood-burning fireplace insert, wood flooring, kitchen with breakfast bar, and an amazing covered deck, which runs the entire length of home. There are two bedrooms on the main level, with the master having a walk-out to the covered deck, also. The lower level is finished with barn wood walls and is a walk-out. The roof is less than a year old and the septic tank was replaced in 2014. You will fall in love with this community when you visit! This is a MUST SEE! Home is being sold as-is, no inspections or repairs to be completed by seller.